The last home game of the season ended in defeat but some very good things came from this one, notably contributions from our younger players. After Thames Ditton progressed to the later stages of the Trust League and needed their pitch we were able to switch the game to Stoke, Hoppy & crew producing a good pitch and Jo extending her season by another week to feed us. Stoke batted first having won the toss and got a decent start with Moumer Khara and Hamza Hafeez adding 28 before the former was bowled trying to smash first change Moroz out of the parish. In his 500th appearance for the Club Malcolm Dickson batted with little alarm and hit three nice scoring shots before getting the only ball that jumped all afternoon and gully held on. Hafeez and Chris Finch batted to drinks, making cautious progress against Ram who conceded just eight runs from his seven overs. Both batsmen fell for 34 and 15 trying to up the rate. 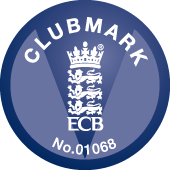 Teague Clarke was another to bat sensibly at the start, but as overs began to run out he became more expansive. He lost Stephen Finch and late call-up Kevin Morgan; but Will Thomson kept the rate high in the closing overs with a quickfire 24. 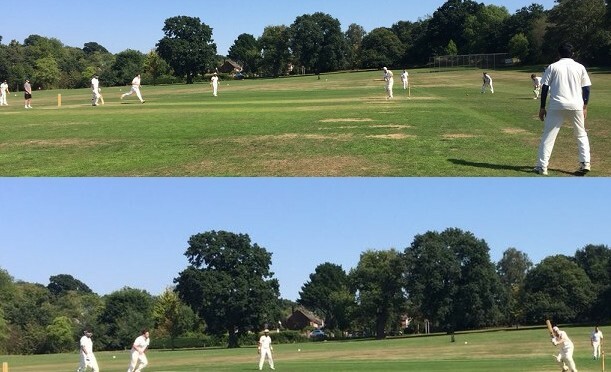 Inspired by this Clarke and Ben Townsend plundered 33 from the last three overs to lift the total to 193 for 7; Clarke walking off unbeaten on 43; great to see these youngsters playing without fear. After Jo’s feast the new ball was given to the younger players. Rory Harris and Townsend bowled with a lot of heart but were victims of an important decision; Zain surviving a vociferous appeal for a catch at the wicket after a snorter from Harris ended in keeper Chris Finch’s right glove. The same batsman then smashed the ball to all parts, nearly half of the runs required knocked off inside the first ten overs, and other opener Ahmad making just 15 out of an opening stand of 83. Needs must and Thomson was thrown the ball and charged in; Khara providing some economy at the other. He got deliveries through Ahmed and Harding; but a scrappy period where the other bowlers weren’t given the greatest support in the field saw Zain pass fifty – shortly after been recalled when given out lbw – and Malins make a scratchy 33; had either of these been dismissed earlier there was the possibility of finding a tail given the assumption that the better players would be in the League match. After Clarke and Hafeez had a turn and did OK, in one final throw of the dice Thomson and Townsend had another go and took another wicket each before Corvi hit two boundaries to leave Zain stranded on 96 not out. So a six wicket defeat for a small number of people in the bar afterwards to talk over, 1st XI players who came to support long-gone after the effects if the night before had finally caught up on them, and the opposition uncharacteristically disappearing straight afterwards without buying a drink…and they also forgot to pay their tea money so another item on the do-pad. We go again next weekend with a run of away games in September to keep the season going. Availability for Saturday and Sunday, please.